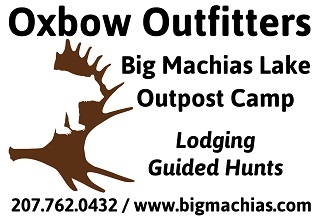 The Big Machias Lake Camps are located in T12 R8 WELS, 20 miles west of Ashland on the northeast shore of Big Machias Lake. We are located on Realty Road, which is the border of WMD 5 and 2. There are no other sporting camps in the area. The best route to travel on your trip to Ashland is to take I-95 north to Smyrna, turn onto route 212, then over to route 11 north to Ashland. Use the Realty Road to reach Big Machias Lake (between mile marker 20 and 21). On the map below, our location is indicated by the red balloon. Click “view larger map” link (top left) to open the map and get directions. You can also zoom in/out (lower right), drag the map, and click at bottom left to view satellite imagery.